Novia Double-Sided Butyl Tape is a high performance Polyisobutylene (PIB) based sealing tape. The product is used in a wide range of applications where products or installations need to be sealed against air and water ingress. 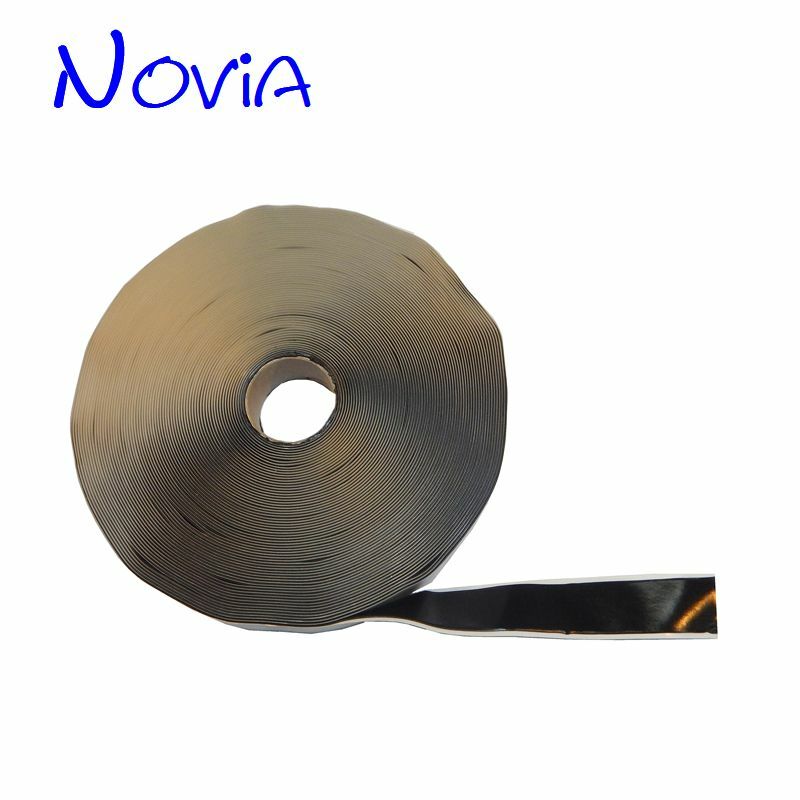 Novia Butyl Tape is cost effective, non toxic and requires no tools to apply. All rolls are accurate to use with little waste and no mess. This type of tape is primarily used within the construction membrane market for the lap sealing of VCL or DPM membranes. All surfaces should be dry, clean and free from debris, frost and grease. Service temperature range : -40°C to 90°C. Life expectancy : in excess of 20 years. Shelf life : 24 months in ambient conditions. Very good adhesion to most surfaces & compatible wth most commonly used construction materials.